I am currently composing, recording and performing music with an experimental approach. I’ve been writing a composition for concertina and would love to have to opportunity to work with two or three concertina players even if just for one evening. I do myself play the concertina but the composition is open and approaches the instrument in terms of its sound-making potential. The composition is also very slow and includes for example the sound of the air button. So it could be seen as very different to the traditional approach to playing the instrument. If you are interested to participate, please contact Sholto Dobie: sholtodobie@googlemail.com. 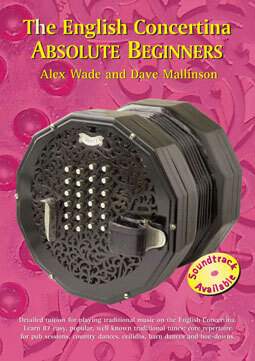 On www.concertina-academy.com under “tuition”: Free Concertina Lessons for Anglo, English and Crane Duet Concertina.